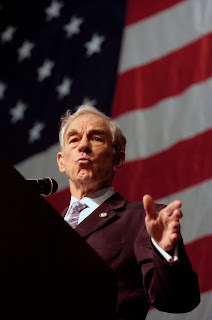 U.S. Rep. Ron Paul (R-Texas) announced that he will run for president in 2012 during an appearance on ABC's "Good Morning America" on Friday. “I am officially announcing that I am a candidate for president in the Republican primary,” he said in announcing the launch of his campaign from the key early primary state of New Hampshire. The news should come as no surprise. Paul signaled that he was "on the verge" of making a decision on whether to enter the race earlier this week. On Thursday, multiple reports indicated that the strong libertarian voice would jump into the race. No serious presidential candidate has been bashing runaway government spending and federal overreach longer than Paul has. The Texas Republican's nickname on Capitol Hill says it all: "Dr. No." He is known for holding unconventional views while keeping a smile on his face, espousing a sort of modern Republican populism without the fangs. The obstetrician has delivered more than 4,000 babies and is personally against abortion, but he doesn't think the federal government should regulate it. That's a function of state government, he says. In February, Paul emerged victorious in the widely-anticipated straw poll at the annual Conservative Political Action Conference for the second consecutive year. Paul's campaign will mark his third bid for the White House. In 1988, the Texas congressman ran for president as a Libertarian and in 2008 he made an unsuccessful run for the Republican presidential nomination. The 75-year-old Paul has represented Texas in Congress for almost 30 years. He campaigned for the House and the presidency at the same time in 2008, with supporters expecting the same strategy in 2012.